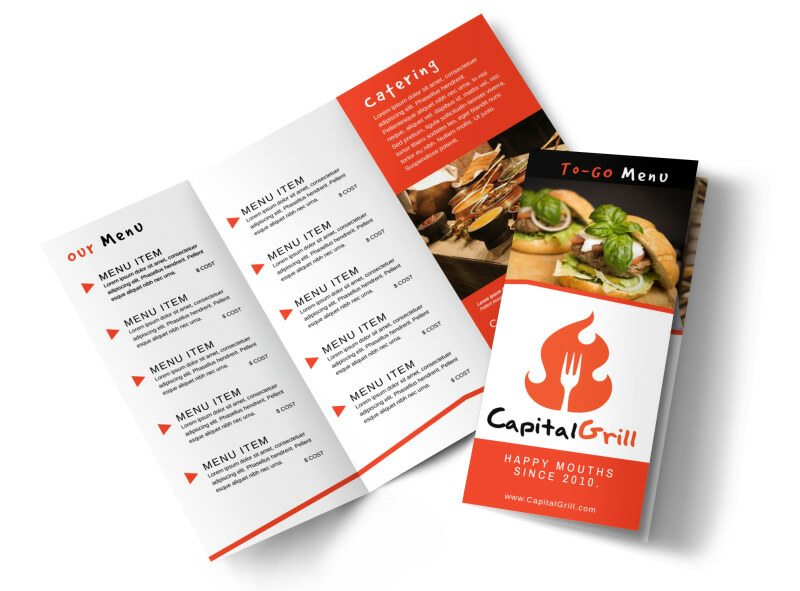 Customize our Restaurant To-Go Menu Tri-Fold Brochure Template and more! 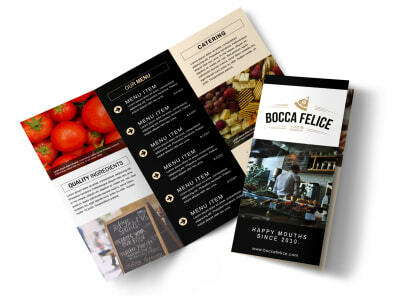 Whip up a to-go menu as good as your food by creating a trifold brochure. Include any specials that you may be running and choose from different colors and fonts to add some personalization. Add images of some tasty treats and some delectable meals to get the stomachs of many growling. Print from where you are for fast access to your brochures or let us print for you.